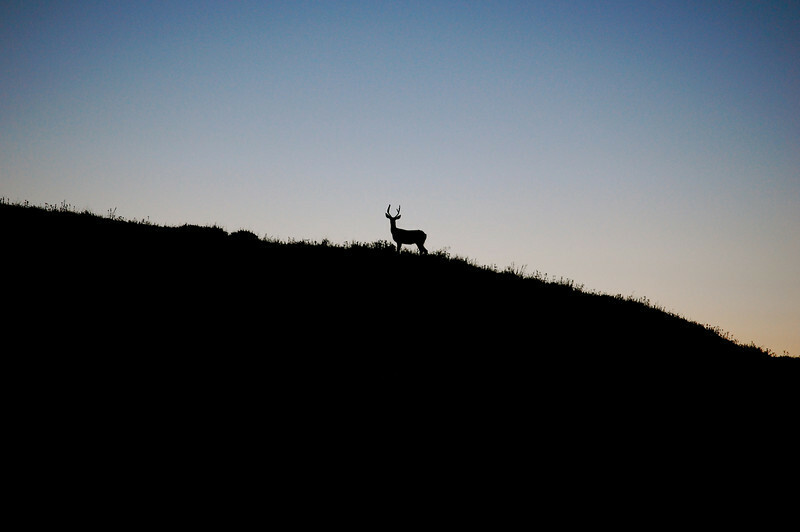 On the way home from a family fishing trip in the mountains, I drove around a bend and saw several deer, silhouetted against the quickly fading light. My wife convinced me to pull over and I'm glad I did. This was one of the most stunning scenes I'd seen in a long time. There's something special and majestic about seeing wild deer in their natural habitat. It was a moving experience.